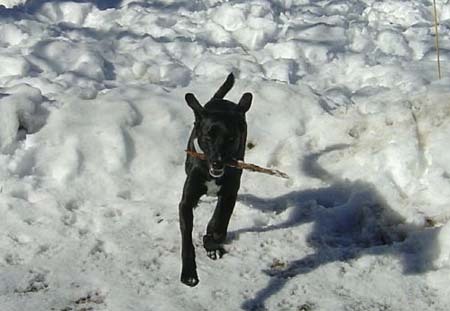 We adopted Waldo, a black-lab mix, on May 5, 2003. We originally saw him on May 3 at Petco in Natick. At that time his "sister," a liver-colored female was also available for adoption. Waldo is a wonderful dog, He is very active, happy & healthy.